A brilliant sunrise unfolds over Mt. Yipsilon and the Mummy Range of Rocky Mountain National Park. 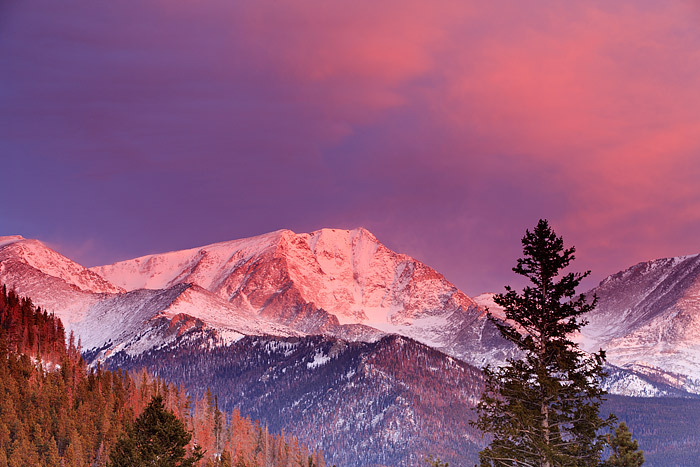 Winter brings some of the best sunrise color over the mountains and peak's of Rocky Mountain. Often times the beautiful sunrises are accompanied by high winds, but this morning's spectacular pink glove over Mt. Yipsilon was perfect. Photo © copyright by Thomas Mangan.